Not long after we left the hospital with our firstborn (and the middle-of-the-night assistance of nurses and staff) I realized that parenting requires supernatural power to do well, for God’s glory. But that’s precisely what we have in Christ, through the promised Holy Spirit, our Helper (John 14:15-17). Just as Jesus (in the flesh, living as fully man) was, in his humanity, able to obey, so too can we obey God. By the power of the Holy Spirit. 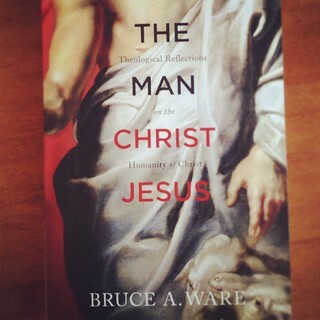 I’m learning this and more with the help of Bruce Ware’s excellent new book, The Man Christ Jesus. If you’re blessed with children, and they slept most of last night (and even more if they didn’t! ), take some time in your waking hours to strengthen your soul with this excellent book.